On November 2-3, 2018 the 35th Breeders’ Cup World Championships were held at Churchill Downs in Louisville, Kentucky. Total purses and awards for the 2018 Breeders’ Cup World Championships exceeded $30 million, including more than $1 million in purses for the undercard races. Next year’s Breeders’ Cup will be hosted at Santa Anita Park. Whether you’re looking for contenders, odds, entries, Breeders’ Cup races, 2018 Challenge Series races and results, news, 2018 results and payouts, picks and tips, or handicapping advice, you will have the most updated information here. Trained by John Sadler and ridden by Joel Rosario, Accelerate capped off an amazing year with the biggest win of his career in the Grade 1, $6,000,000 Breeders’ Cup Classic at Churchill Downs. The 5-year-old son of Lookin At Lucky will be retired to stud next year at Lane’s End following a potential start in January’s Grade 1 Pegasus World Cup. 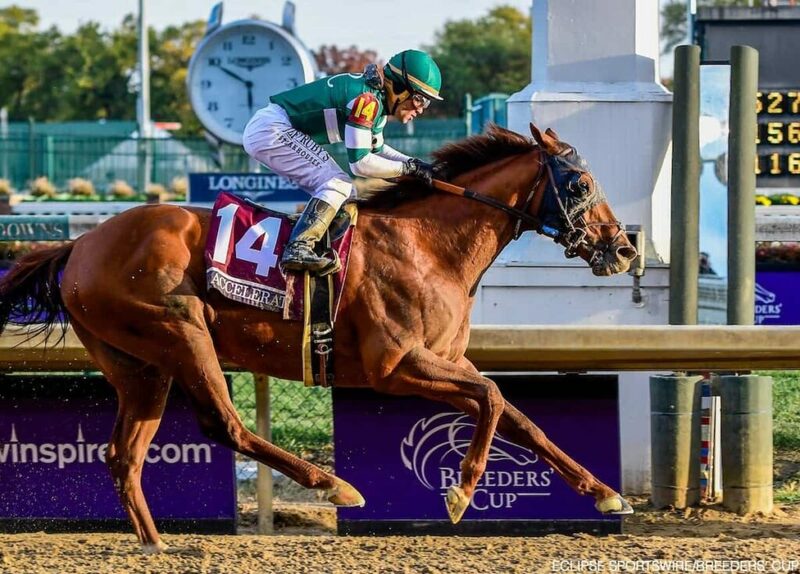 Accelerate’s win was his sixth in 2018, all in graded stakes events, and improved his overall record to 22-10-5-5 with earnings of $5,792,480 for owners Hronis Racing. Get results and payouts to the 2018 Breeders’ Cup Classic below. 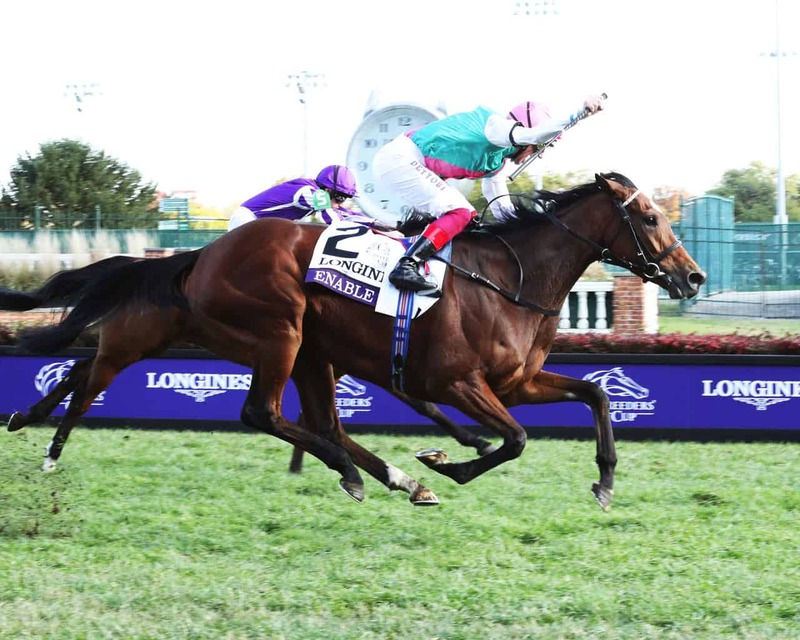 See more Breeders’ Cup news HERE. 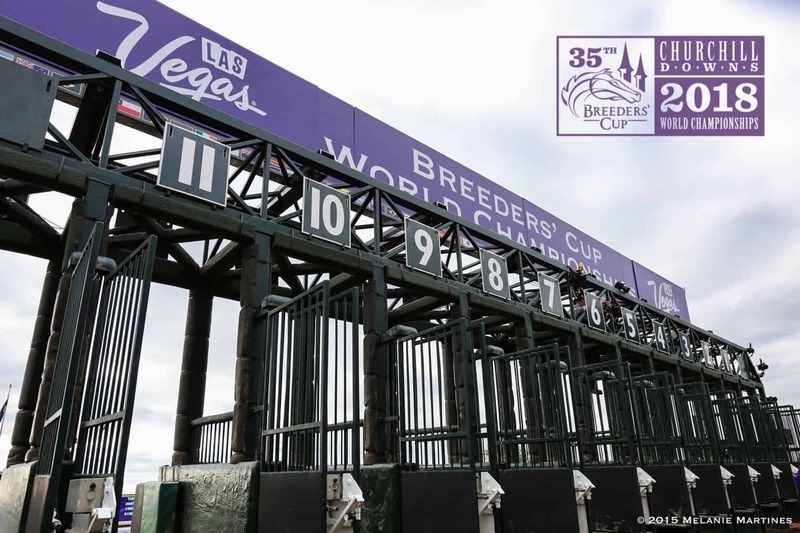 The Breeders’ Cup Challenge Series consists of the best races from around the world and awards each winner an automatic and free entry into the Breeders’ Cup World Championships on November 2 & 3 at Churchill Downs. It’s simple, they win and they’re in. The Breeders’ Cup Future Wager gives you the opportunity to lock down potential Breeders’ Cup contenders early as they compete towards locking-in starts for their specific divisions. A future wager bet can offer larger payouts for horses who win their Breeders’ Cup race because the fields are still relatively unknown. The Breeders’ Cup Classic will offer two opportunities for placing a future wager and the Distaff, Juvenile, Turf and Juvenile Sire future wagers will present one advanced offering.